Reigning star Prabhas is reportedly planning to do a film for his uncle and yester year Rebel star Krishnam Raju in 2018. The ‘Bahubali’ star right now is busy shooting for his upcoming film ‘Sahoo’ and next he would be doing his home production. 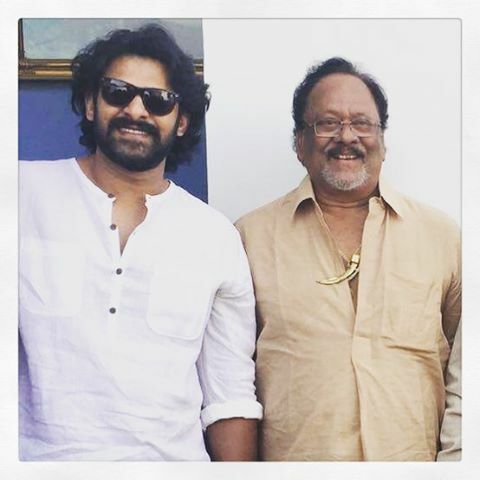 “After ‘Billa’, Prabhas wanted to do a film for his uncle and veteran actor Krishnam Raju, but only now he was able to allot dates for the same. He has great respect for his uncle who was one of the most successful actors and producers in T-town in his hey days and Prabhas is excited about it,’ says a source. Even though, Prabhas is flooded with offers from top Hindi and Telugu producers, he is preferring to work with his beloved uncle. ‘A top-line director and actress will be roped since it is touted to be a big budget action adventure, expected to commence from February next,’ the source concludes.